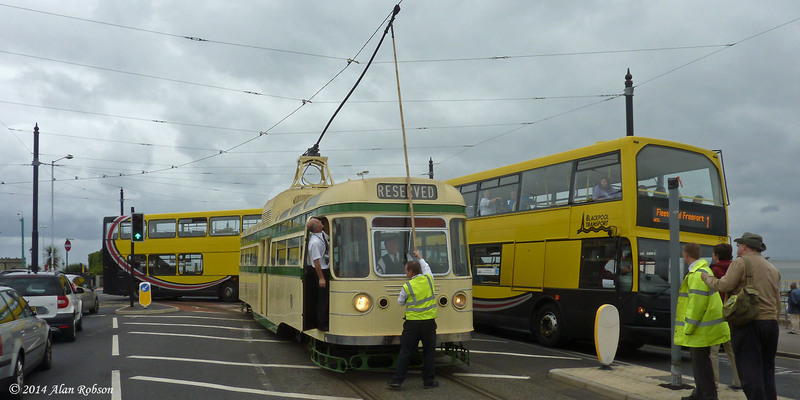 After Coronation 304's successful test outing on 20th August, the following day the tram was due be used in familiarising a group of drivers with the intricacies of operating a Vambac controlled tram. 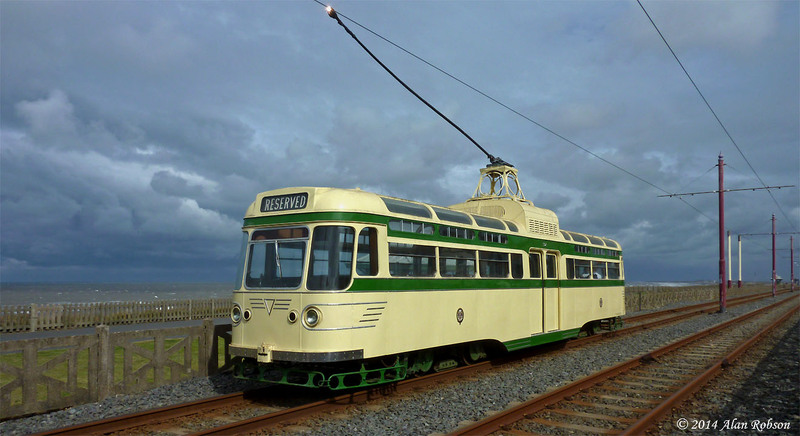 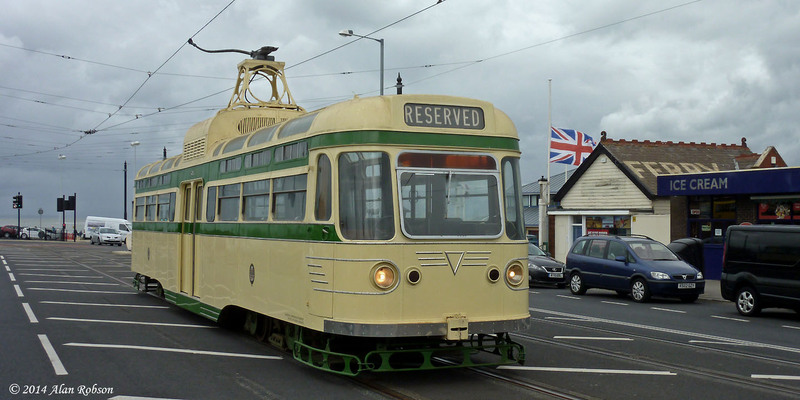 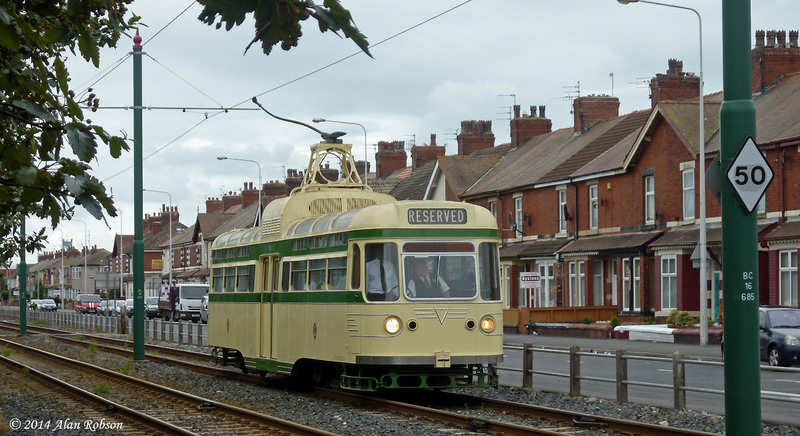 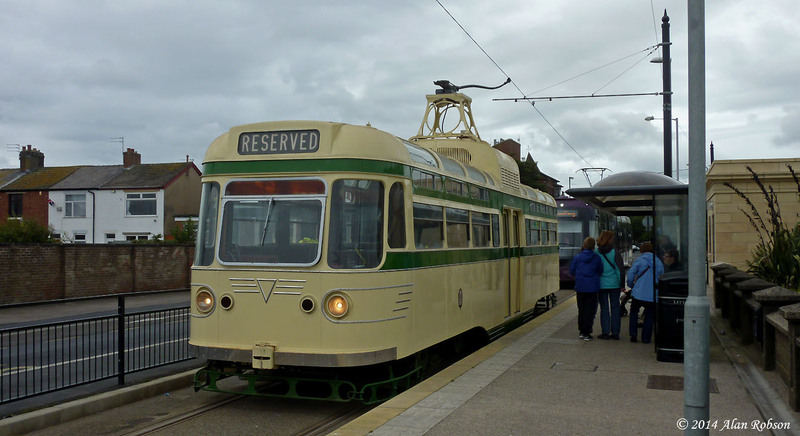 During the training run the tram made the journey all the way to Fleetwood Ferry and back. 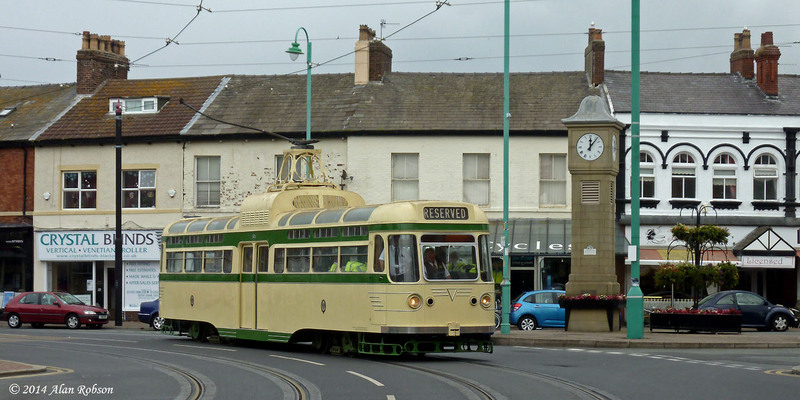 Problems arose at Fleetwood when 304 tried to exit Bold Street, it became apparent that the overhead at this point was too high for the trolley pole which became dewired. 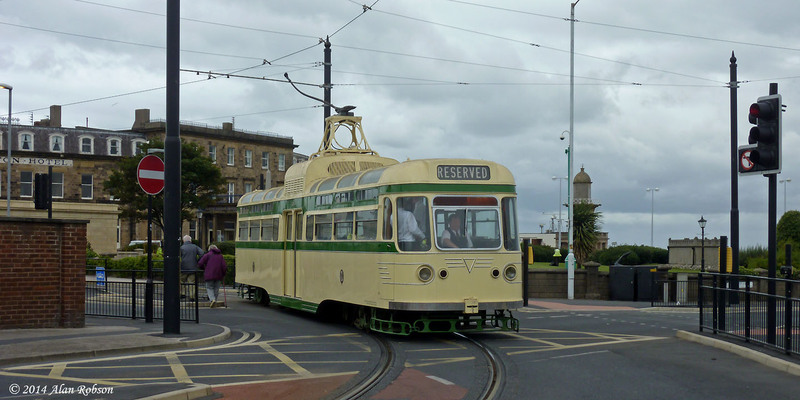 The tram was manoeuvred round to the Ferry loop with the trolley leading so that it could reach the overhead. 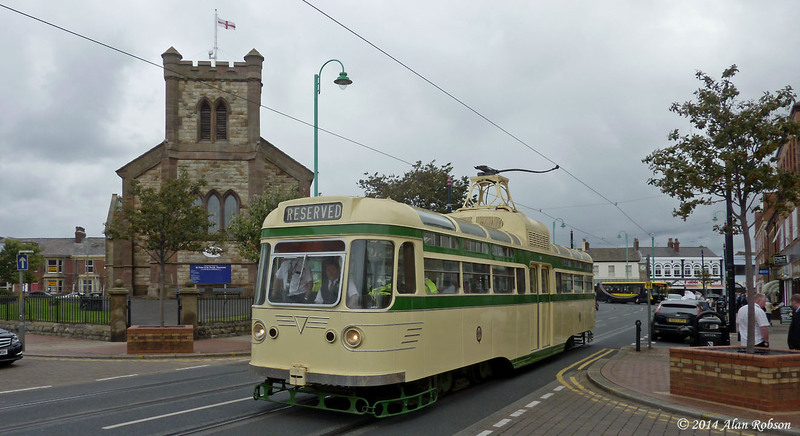 Further problems were encountered with the overhead being too high until 304 reached North Albert Street, where it was then able to continue its journey back south without further incident.